Home arrow_forwardWP Blog Home Page - Main blogarrow_forwardProfessional Pet Sitter’s Week! With a professional pet sitter, your pet can stay in the environment they are comfortable in and know well. This allows them to have familiar spaces and scents. This can be especially beneficial to older dogs who may not travel well or do well with changing their environments. Pet sitters can save you time by not having to drive back and forth from a care facility. By being at their own home, your pet already knows how the house is and where they can find what they need. This can include playing with toys, going outside, and their favorite spots! When you have a professional pet sitter you reduce the risk of your pet getting sick. Instead of taking them to a care facility while you are gone, they can stay at home where they are not exposed to illnesses from other animals. Having someone in your home, your pet will get personal attention and you won’t have to ask friends and family to watch your pet. Having a consistent person watch your pet will reduce their stress and keep them happier. With someone watching your pet, your home will appear more secure eliminating your home looking vacant. 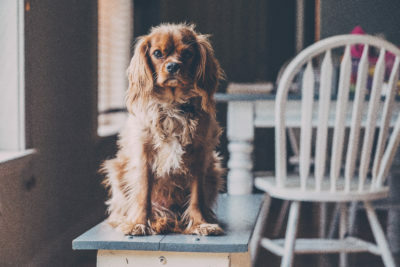 A pet-sitter can give you updates about your pet any time you need and you will come home to a pet who is well-exercised, well-rested, well-fed and extremely happy to see you!